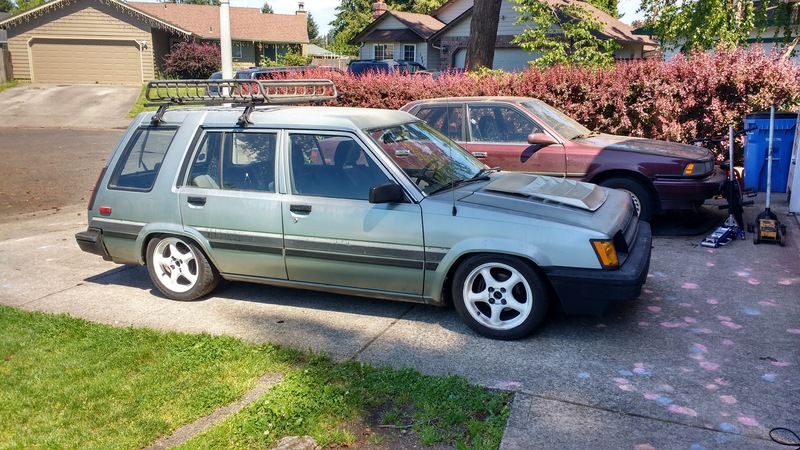 Recently I acquired the a tercel with a fwd 4age swap done by a former member. At the time I got the car I was under the impression a rwd conversion would be pretty easy until I did some research. 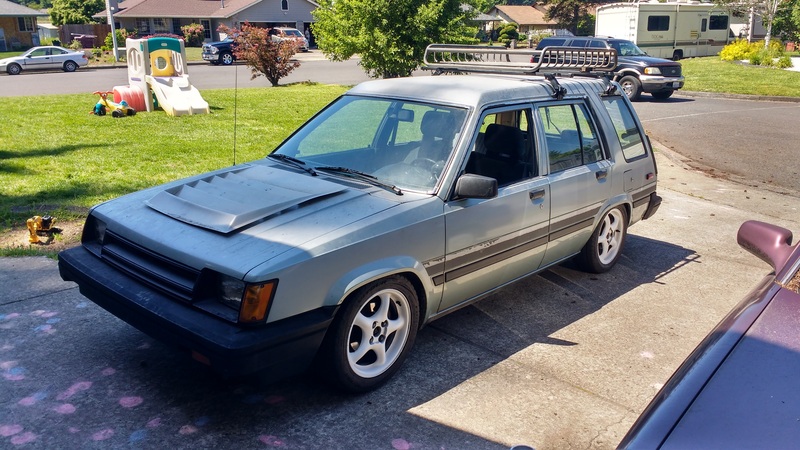 This lead my friend and I to look for a project to convert to rwd. 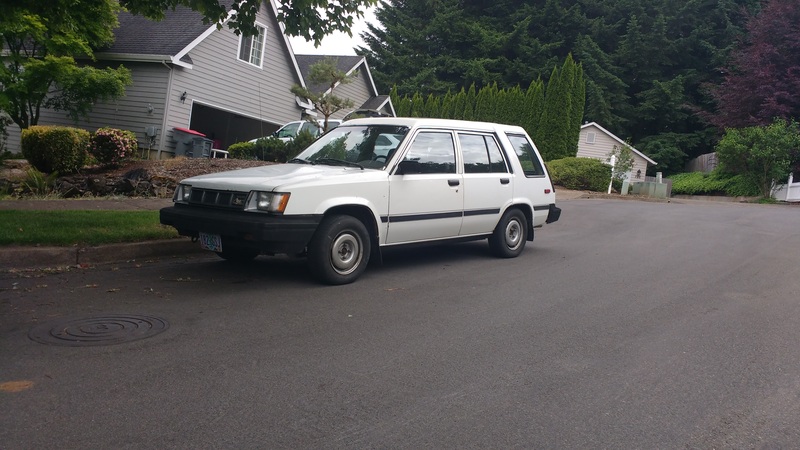 We found the prefect candidate in a 87 4wd 0tercel in Mcminnville with a jdm 3ac swap but the owner had also swapped in a 83 trans/transfer case while leaving the 87 rear end on causing the trans to grenade. 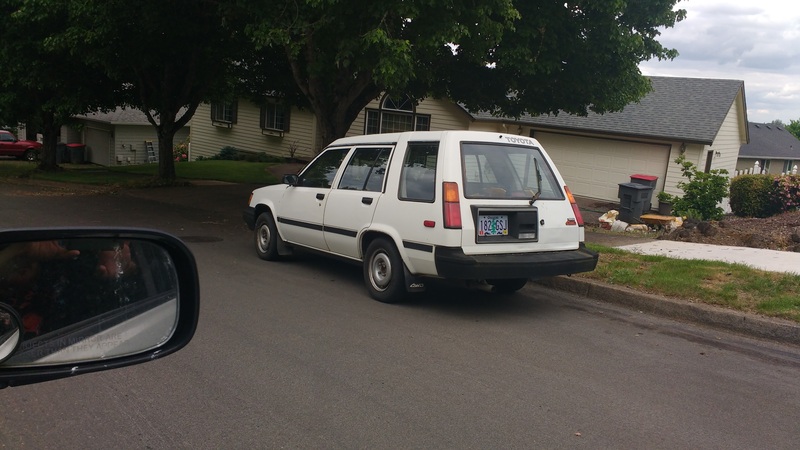 The plan would be to pull the 3ac from the 4wd tercel and put it in the fwd tercel and then convert the 4wd tercel to rwd with the 4age. 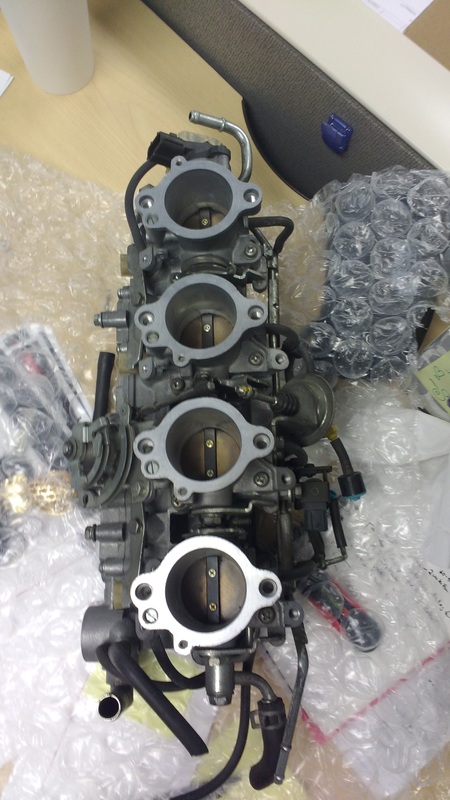 JDM POWA! 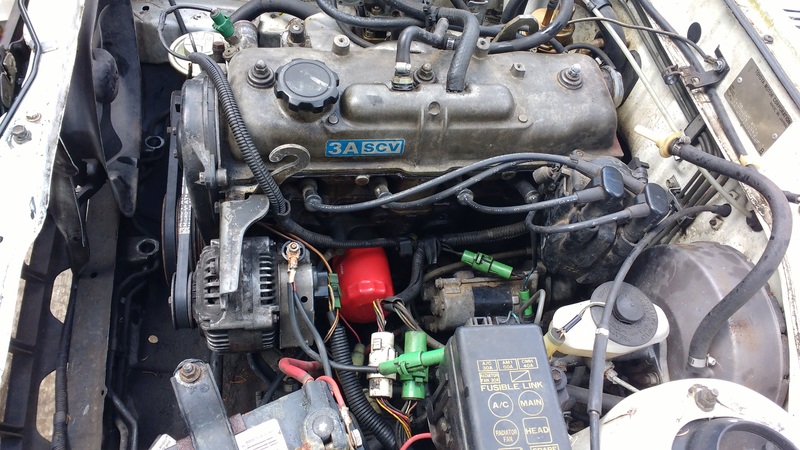 3ac-SCV apparently has different intake than a standard 3ac which gives it more power? Im not quite sure the difference. Last edited by white_raven on Sat Feb 10, 2018 6:47 pm, edited 5 times in total. Last edited by white_raven on Sun Jun 18, 2017 11:32 am, edited 1 time in total. 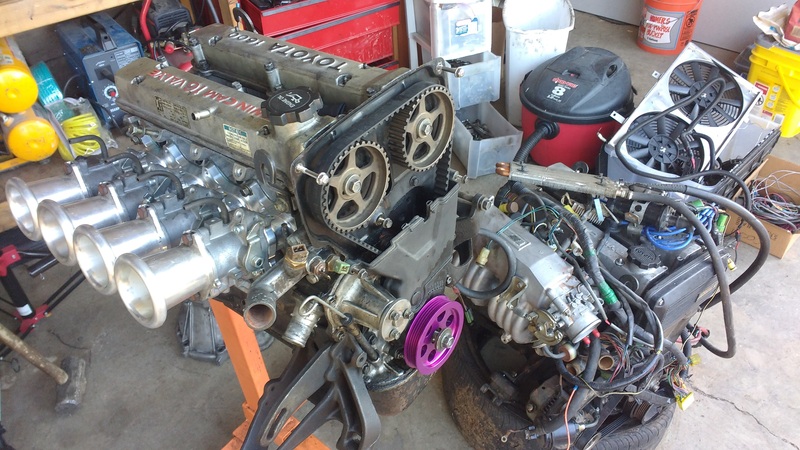 While getting the motors out, I learned that the 4wd and FWD are both 4x100. 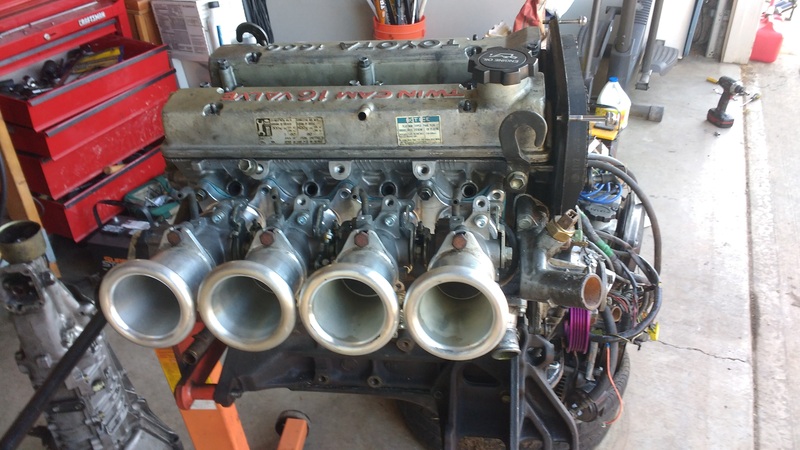 I thought that all 4wd were 4x114, i was hoping to put some MKII supra rims on the car, but I will have to go another route. 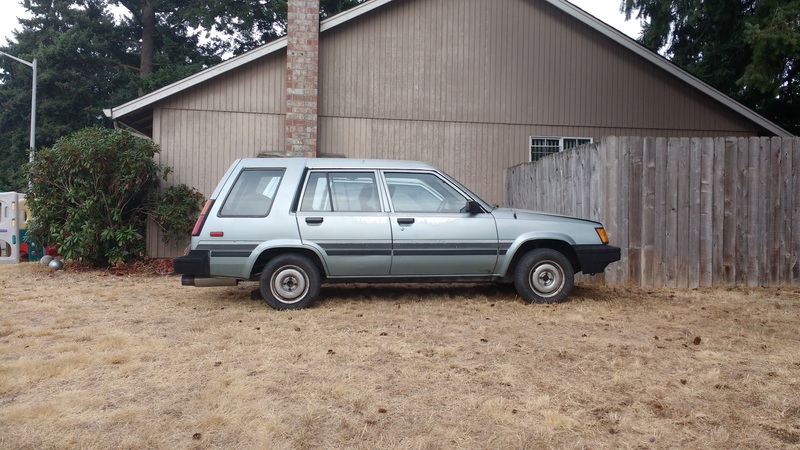 Are their any tercel wagons that are 4x114? Last edited by white_raven on Sun Jun 18, 2017 1:10 pm, edited 2 times in total. I can't seem to view the photos except for your first one. cheers. good luck with the project! Hey Thanks Mattel for the information. 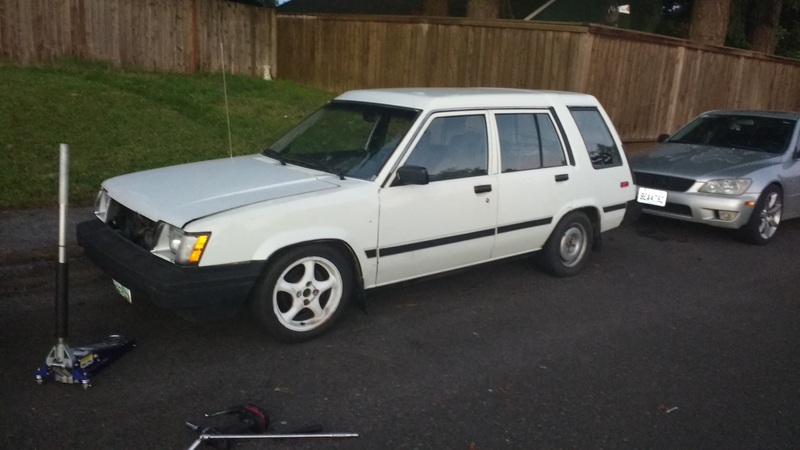 We'll have to figure out to get 4x114 hubs on the white tercel. Also the photos should be fixed now. 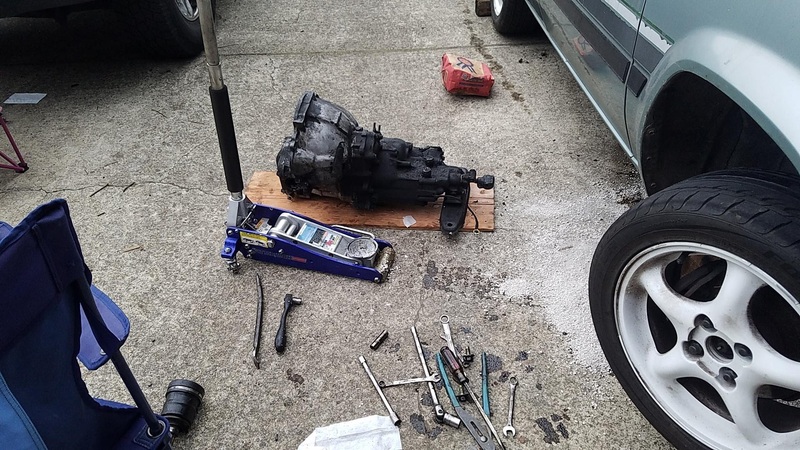 Could you use a Celica rear diff? How is the 4age car lowered and what hood louvers/vent is that? Glad the pics are working! 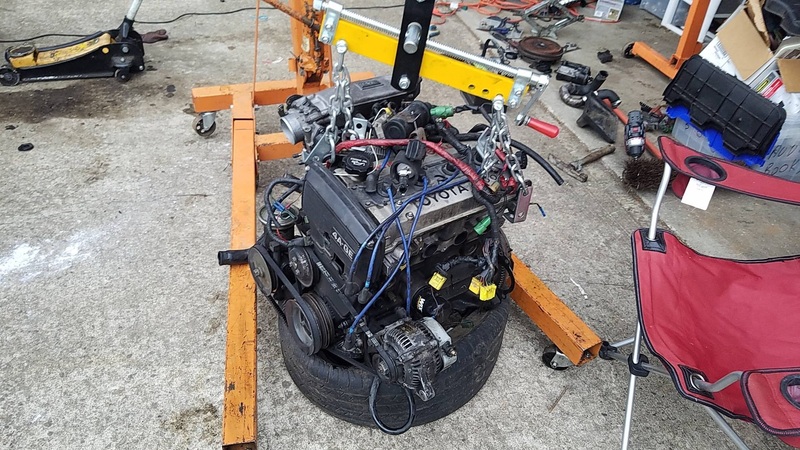 Yea good call Celica or Ae86 rear end would get the rear end converted to 4x114 i'd probably have to do something similar up front. car is lowered on cut springs and its a URAS drop vent. Heck yeah, preciate it! 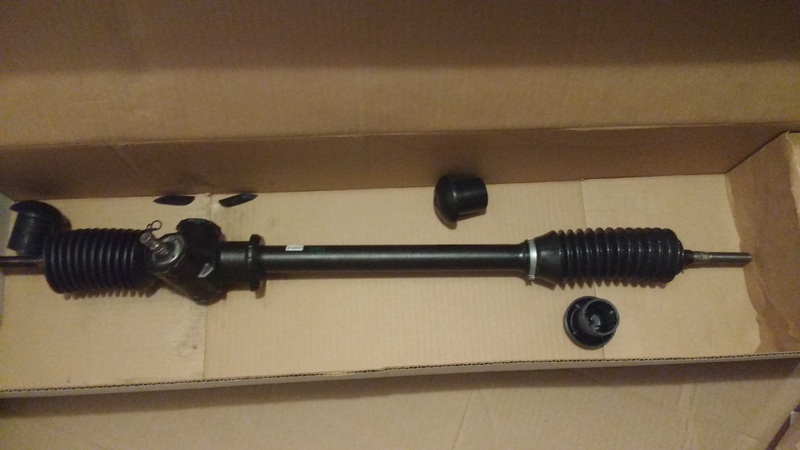 So be completely honest, does it ride bad with the cut springs? It's pretty bad, i'll swap them out for coils at some point. 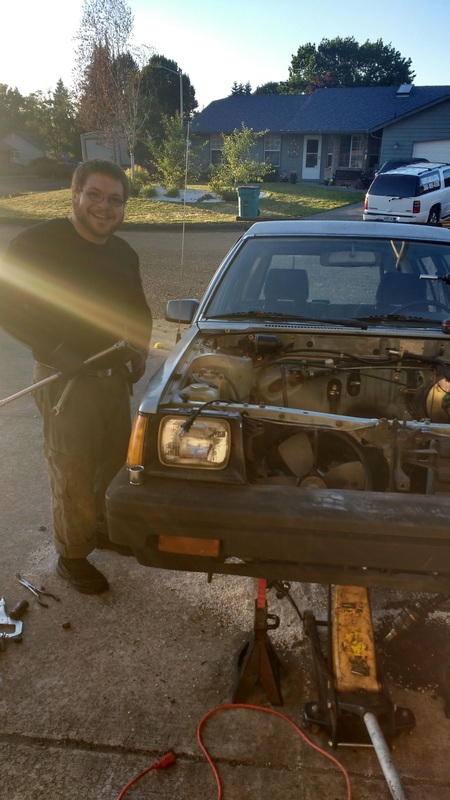 Got the steering rack out and getting the engine bay ready to wash.
FWD Tercel as she sits now. 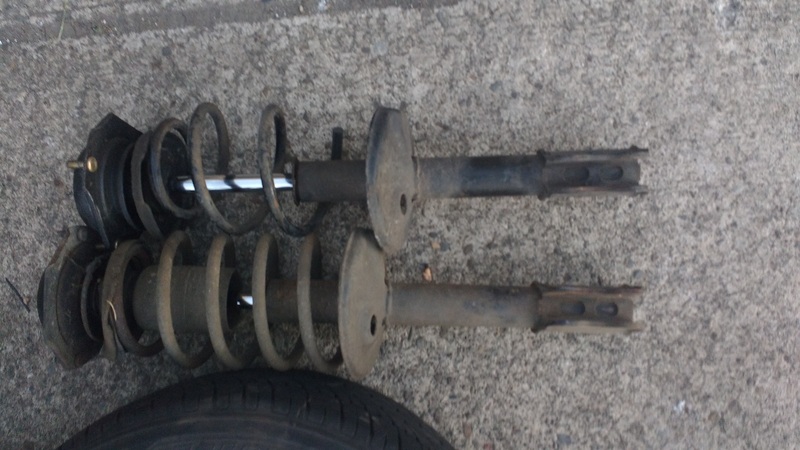 While swapping coils from FWD to 4WD we discovered that 4wd struts are taller. 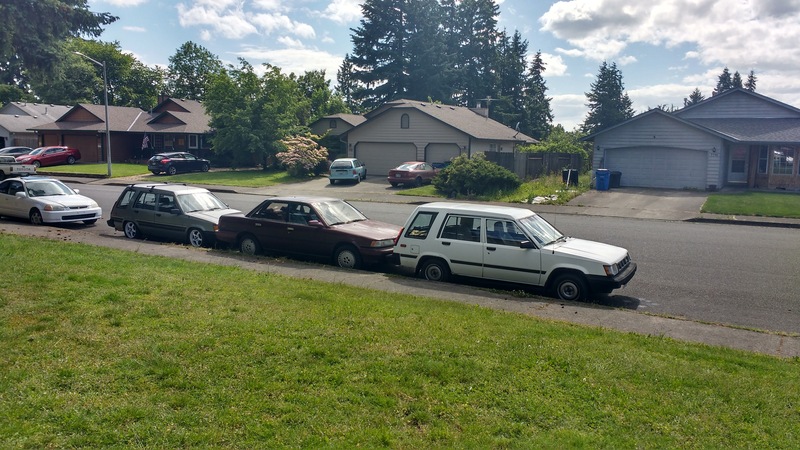 So the FWD one should get a nice lift. 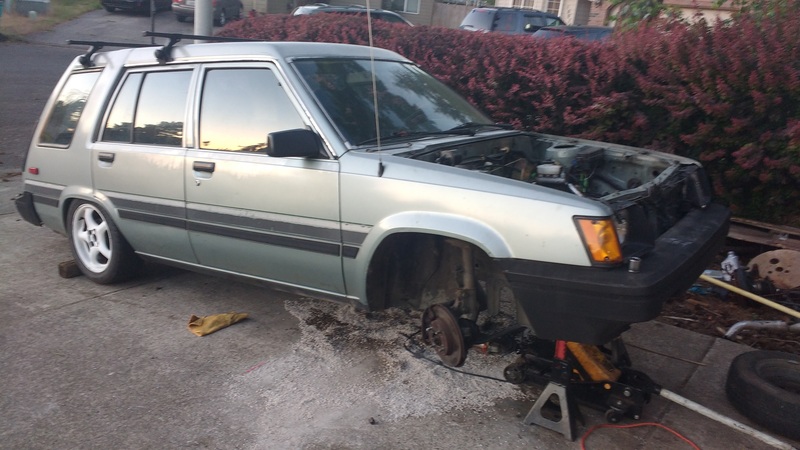 Got the front cut springs on the 4wd Tercel. It looks much better now, especially with the white miata wheels. Hey guys it's been a bit since an update been busy with work and life and a little bit of cars. We added some patherfinder springs on the rear to help level the lift. 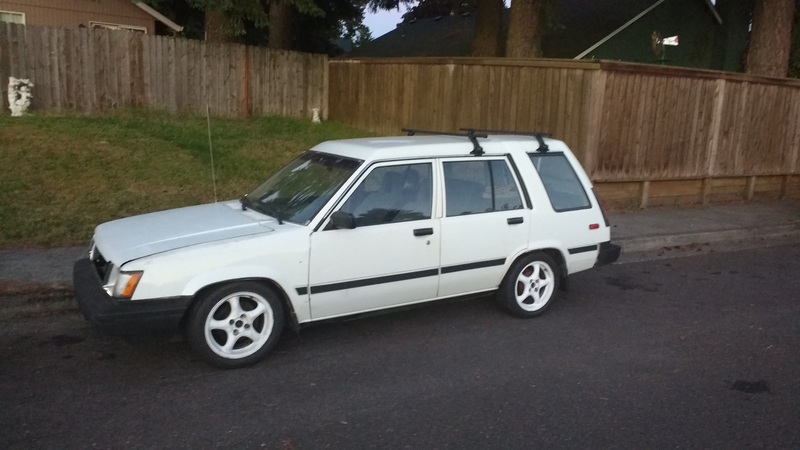 acquired a manual rack for the rwd wagon. 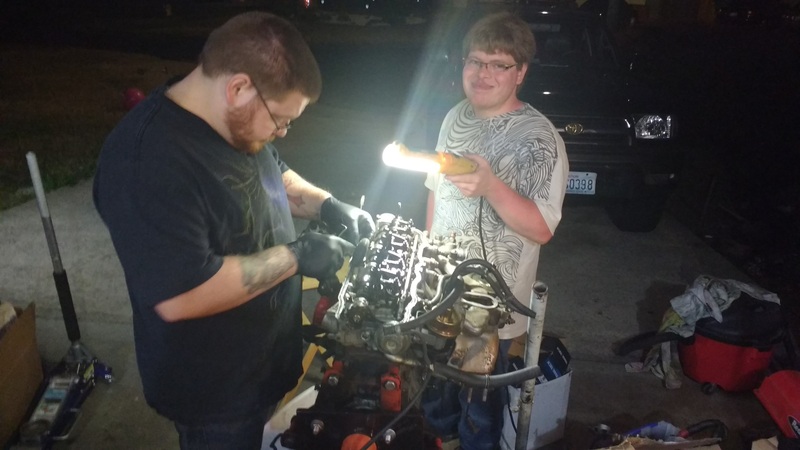 chris and our other brother brendan working hard on the 3ac motor to get ready to put back in his car. that looks like a nice clean induction system for the 4age, what is it from? did the conversion cost much? does it retain the original ECM? 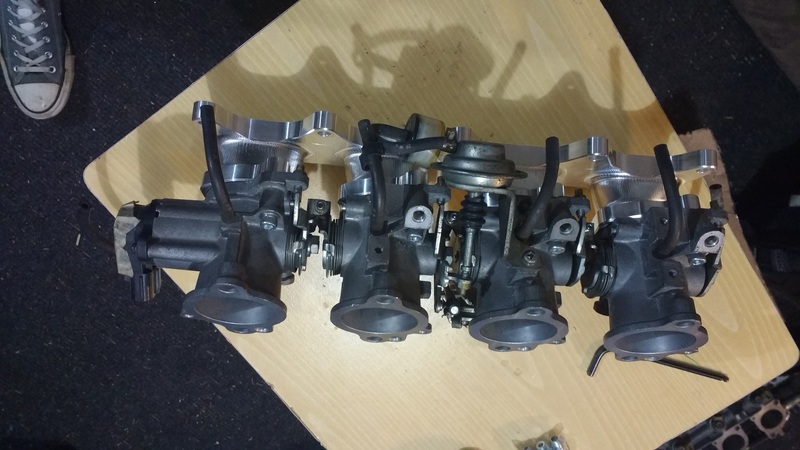 looks nice, I want for my own engine swap project. 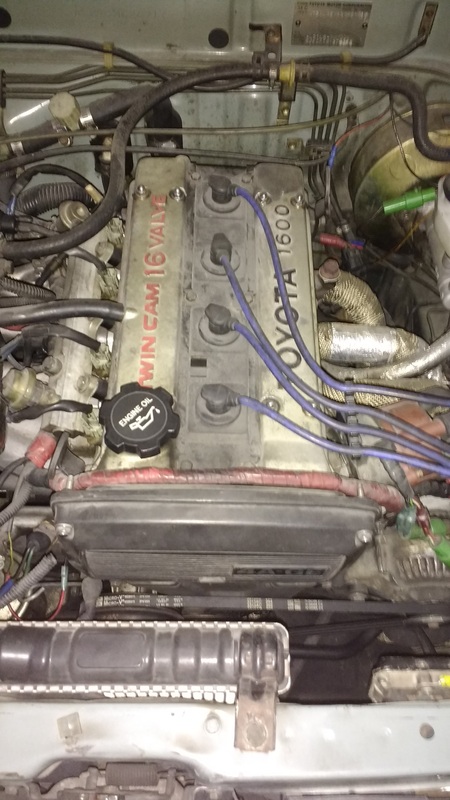 you have to go ae92 jdm map ecu/harness or standalone which is the direction Im going. can't wait to see some video footage of this thing ripping. 2 steps forward 1 step back. 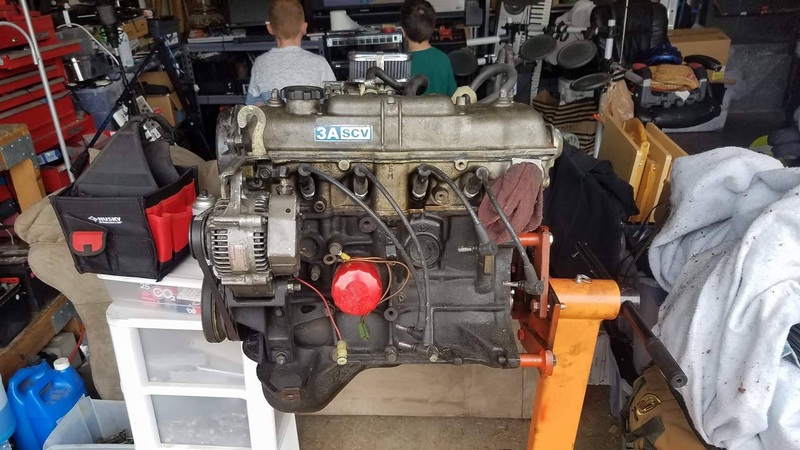 Got some more parts for the 4age only to discover as I have been tearing it down, that the bottom end is a 4ac bottom end and has some oddities I would rather not take a chance on. 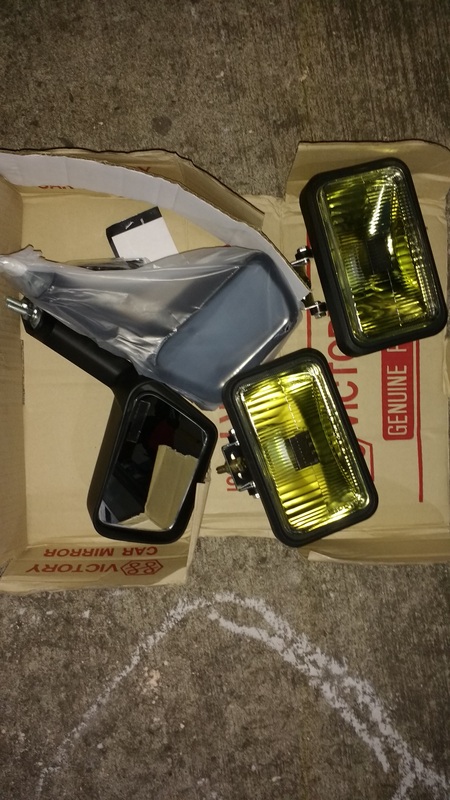 So im in the process of sourcing a new block. 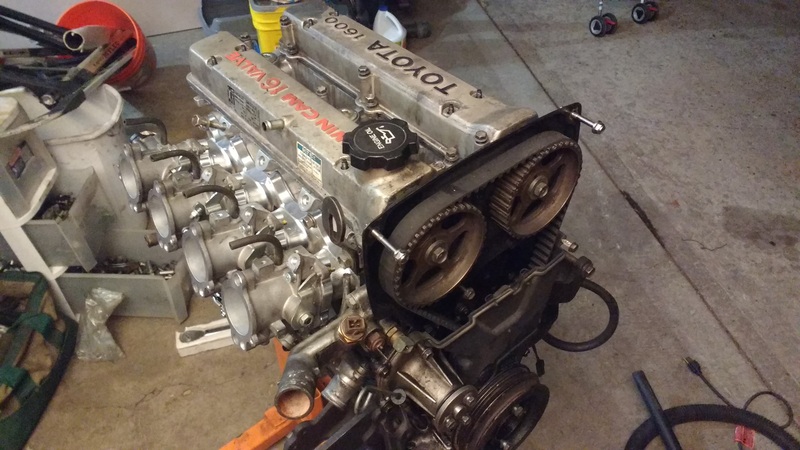 But to show off more parts i have acquired, NST pulley setup and velocity stacks. 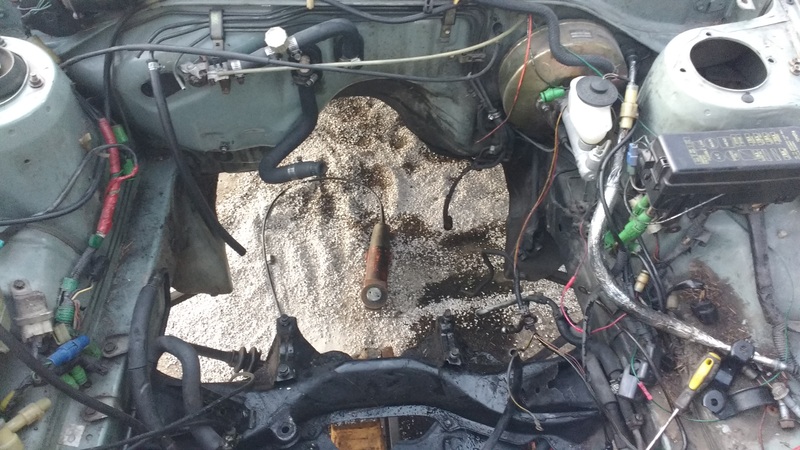 One of the next issues I notice I will be running into is converting to hydro clutch pedal from cable and hopefully the trans tunnel does not have to modified too much.